Frenchay Church is not a building – it’s the people who make up the church family. My name is Judith Langfield. I am a retired GP and have many interests in life including writing, dressmaking, gardening and Ladies Probus. 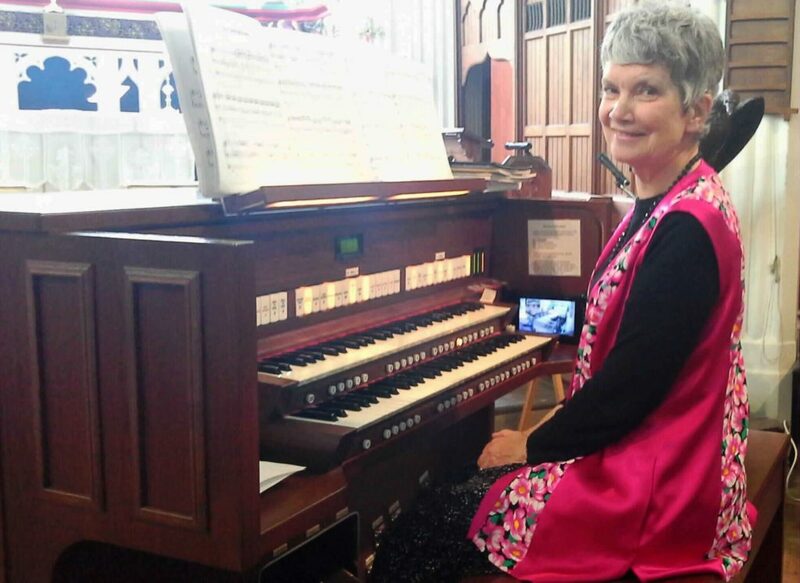 One of my main roles within church life is to play the organ. I was brought up in a Christian family and attended Sunday School and have always played a full part in the life of the church. I was a part of the teens group growing up and was confirmed at the age of 16. As a child I remember the time when I was allowed to cross the road for the first time on my own. I prayed to God to help me cross safely, and I stood at the side of the road, doing the “look right, look left, look right again.” I saw a lorry approaching so I stayed put, but then felt a hand pushing me in the back. I turned round to see who it was, but there was nobody there. The lorry was getting closer so I did not cross, but this hand pushed me again. Still there was nobody there. The lorry then turned left down a side-turning and did not reach my bit of the road at all. I could have crossed in perfect safety. I spent the rest of the day apologising to God! There have been numerous occasions since, when I have felt God guiding me. When I have resisted, things have gone horribly wrong, but when I’ve submitted, all goes well. For example, not many years ago, I married Andrew. I was 63 and most unwilling to get married for the first time at this late stage in my life. At a February morning service, the preacher commented on the overnight snowfall which made everything look pristine, and she used it as an allegory for making a fresh start in life. I knew at that moment that I would be married to Andrew by the end of the year, and so it turned out. We have so much in common, and it’s been marvellous having such a lovely companion instead of living alone. I’m very glad I did not resist that time. For me, being a Christian means to put God at the centre of my life rather than myself. I believe that if everyone followed Jesus by worshipping God and loving our neighbour the world would be a lot better off!